TechCon Advance Registration is now closed. Onsite registration will be possible at the Reg Desk outside Sunset Ballroom on the 3rd floor at the Flamingo. 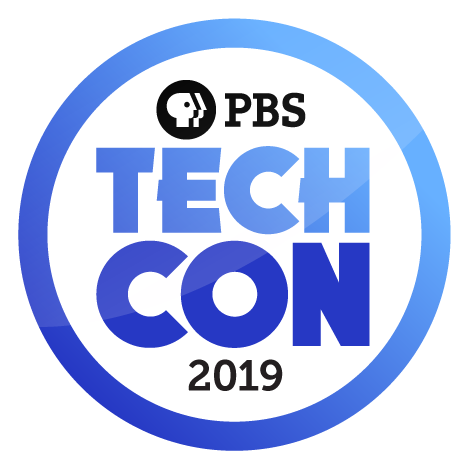 Advance Registration is now closed for TechCon 2019. TechCon takes place April 3-5 at The Flamingo Hotel in Las Vegas. For travel purposes, the conference begins at 2pm on Wednesday, April 3 and runs through Friday, April 5. Take advantage of our Justify Your Trip letter, and this year's Scholarship opportunities. Early Bird Registration ends Friday, March 1, 2019. After this date, registration costs increase by $100. *FY 2019 TV CSG recipients with a 2017 (most recent year) NFFS total below $2M or with a 3-year average (2015, 2016, 2017) NFFS below $2M. Online Registration closes at noon on Wednesday, March 20, 2019. After this date, registrations must be made on site at the registration desk and include a $50 processing fee. See below for NAB details. - Complete the online registration form for the PBS Technology Conference. - Charge the registration fee to your credit card (this is a secure site). - Once you have registered, you will receive an e-mail registration confirmation. - Ready to register? Click here! ARE YOU PAYING BY CHECK? PBS must receive your check before you register. Once your check is received, you will be emailed a code that will allow you to register for the event. The check must be received on or before March 1 to receive the Early Bird rate. When your registration is complete, you will receive an email confirmation. If you register online and do not receive a confirmation within 24 hours, please contact Mary Vertucci at mpvertucci@pbs.org or 703-739-8464. Registration cancellations and refunds can be made directly online via a link located in your registration confirmation e-mail. Registration cancellations submitted on or before March 1 will receive a full refund. Registration cancellations postmarked between March 1 and March 20 will receive a full refund minus a $100 cancellation fee. There will be no refunds for cancellations beginning March 21, or for conference no-shows. Having trouble or can’t find your confirmation e-mail? You may send cancellation requests directly to Mary Vertucci at mpvertucci@pbs.org. PBS has secured a discounted rate with NAB for PBS stations and staff. Please contact Naseem Hussain at nhussain@pbs.org with questions. NAB Members will receive the Conference Flex Pass for $300, which is $205 off of the member full price of $505. Non-members will receive the Conference Flex Pass for $605, which is $100 off of the non members full price of $705. The availability of press registration to the PBS Technology is extremely limited. Please submit your request by contacting Jennifer Byrne, Vice President, PBS Corporate Communications, at jrbyrne@pbs.org.